Please read the entire post before posting questions! We may not have every answer today but we will be posting updates as they come in. WELCOME TO THE 2014 8TH FEST INFO AND SIGN UP THREAD!! Each sponsor will be providing free giveaways for the event including sticker, t-shirts, license plate frames, coupons, etc. Win a free tune from Vit Viper!! - NO burn outs or excessive revving. - NO speeding around the lot. - NO blaring music or loud bass. 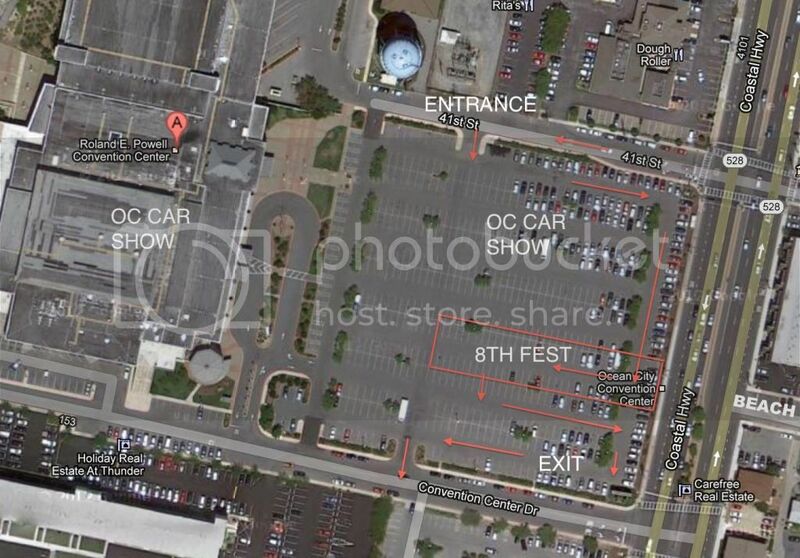 The meet will take place in the Ocean City Convention Center parking lot alongside the OC Car Show outside car show. 8th Fest will have it's own section of the parking lot for 8th gens only to park together. The outside lot fits several hundred cars but we are requiring pre registration to get a good count of cars coming so we can guarantee we have plenty of room. Please register as soon as possible. To pre-register goto Event Registration Powered By Acteva enter your email address and select the 8th Fest Entry option $20. Fill in your contact information and pay either by credit card or Paypal. You will receive email confirmation with order details and number, please print this as your receipt and bring it to the meet. Last edited by wannavtec; 06-13-2014 at 03:36 PM. 1) Concert? Any idea who's playing? 2) Are we going to actually have someone monitoring traffic into the 8thfest lot? I remember last year we had a few non-Hondas park there and we had to track the drivers down after they already left the area. 3) I'm ready to get weird. Well i might as well put the sign up sheet up! 1) Concert? Any idea who's playing? There will be a concert, not sure who yet. Super interested in making it out this year. Gotta see if I can drag a friend or the lady out with me. Last edited by PaulyP; 02-20-2014 at 10:52 AM. Let me know if you need any help contacting vendors for raffles, etc. You guys gave away some really cool stuff last year.. hope it's the same this year! For sure, up for ideas/help contacting sponsors for giveaways. more than likely i will be there..
a synonym for massive headache. your going..don't pull a Danny C.